Feeling safe and secure is such an important part of our daily lives – at home, at the office, at school, or anywhere else we choose to go. When it comes to your business premises, depending on where it’s located, the hours of operation, and many other factors, you may have a low, medium, or high level of concern with regards to how you want to secure the facility. With all of the technological advancements, we are able to do so much remotely ourselves, such as monitor our office spaces and commercial properties with an app on a smartphone. Using self-installed systems and their associated apps might work for some, but if you want true sense of security, you will want a professionally designed and installed CCTV video surveillance systems. To put it simply, it is video surveillance – also known as closed-circuit television. Our professionally installed systems transmit video to recorders located either on-site or off-site. IP-based cameras can provide video which records in high-definition, and cameras can be programmed to record based on motion in the picture, saving hard drive space and cost.. In terms of your business, if you have security alarm monitoring system, it can be integrated with the camera system to it would begin recording if any suspicious activity occurred on the premises such as the breaking of glass, someone or something coming in contact with the front/back/side doors or activation of your motion detectors. If we are providing a video verification solution, our dispatchers would then check the camera system to verify the alarm before any police or guards were sent to the premises. Our customers benefit from the decreased costs incurred by false alarms, through video verification. You can reduce the risk of property damage and internal theft. You don’t have to hire a security guard – the camera system works just as well. You can reduce the number of after-hours employee dispatches. 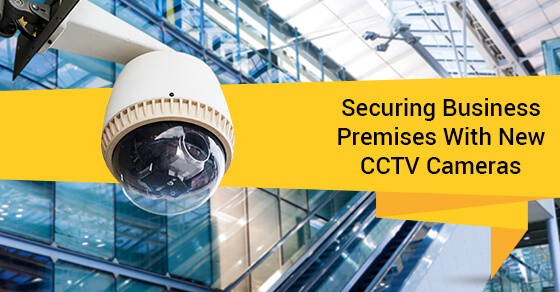 We offer CCTV Camera Monitoring Systems to keep you business and staff safe. To find out more details, visit our page here. Our dedicated and well-trained staff are able to answer questions you might have about the system, how it works, and how it is best suited for your business. We can provide you with a quote for the service(s) that you are interested in.